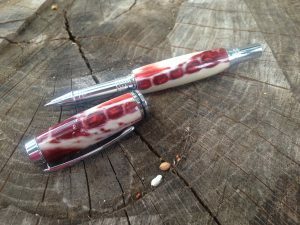 BIRMINGHAM, Alabama — The handcrafted ink pens Joel Lockridge fashions in a small woodworking shop at his Birmingham area home are fueling a mini export boom from Alabama to parts all over the world. “I’ve now shipped to 27 countries and counting — some I’ve even had to Google to figure out exactly where I was shipping,” Lockridge said. 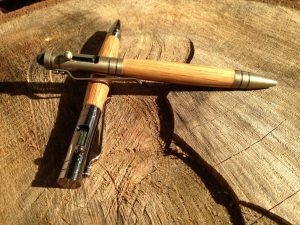 Lockridge primarily produces pens from Bourbon barrel wood, but he has used materials ranging from alligator jawbone to pine cones. At first, he sold the pens at art shows, and later added a web site he launched for his Bourbon Pens brand. He mounted a Kickstarter campaign with hopes of raising $800 for shop materials. 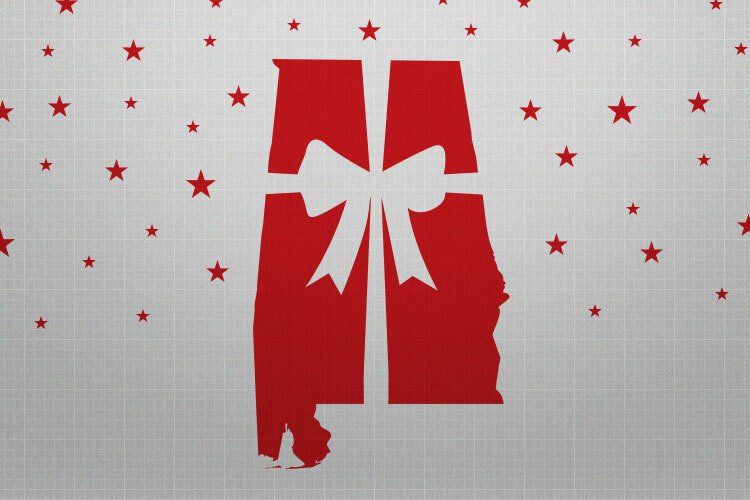 The campaign went viral, generating almost $20,000. Joel Lockridge has shipped his creations around the globe. Lockridge has shipped his Made-in-Alabama pens to Austria, Spain, Sweden, Norway, Switzerland, England, Scotland, Germany and The Netherlands. They’ve gone to Dubai, Russia, Japan, Malaysia, New Zealand and Israel, among others. He turned to Google to find out exactly where Borneo and Macau are located before shipping pens there. 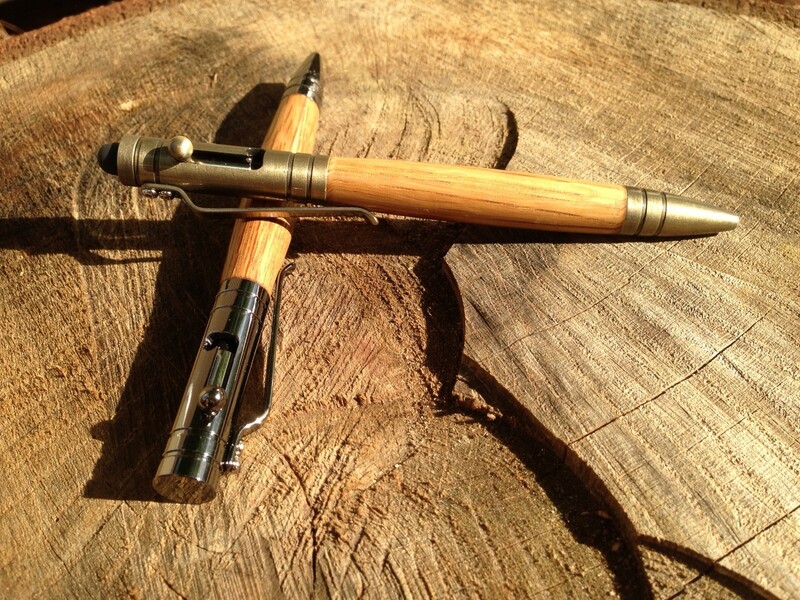 Lockridge started handcrafting the pens about four years ago. This year alone, he’s made more than 500 of them. Some take as little as 30 minutes to shape the material on a lathe, while others require three to four hours on the machine. Current best-sellers include his “Bolt Action Bullet” ($59) and the “Magnetic Graduate Rollerball” ($85). He’s used a long list of materials over the years. One of the more unusual was oak between 3,000 and 5,000 years old that had been preserved in the peat bogs of England. A favorite was alligator jawbone, cast into colored acrylic for a very distinctive look. He’s also used battleship deck wood, antler, corncobs, snake skins and acrylics in a rainbow of colors. Lockridge incorporates many materials into his ink pens. A turning point came when a friend in the barrel business in Kentucky requested one made from Bourbon barrel wood. He’s developed good contacts at several distilleries and cooperages, allowing him to purchase a good supply of wood. He now uses stock barrel wood from producers including Jim Beam, Jack Daniel’s, Maker’s Mark, Wild Turkey, Four Roses, Buffalo Trace, Woodford Reserve, Bulleit and Knob Creek. “I’m always looking for more,” he said. Lockridge admits that he develops an attachment to some of his creations. “Selling some of them is almost like losing a pet when it walks away from my shop,” he said.